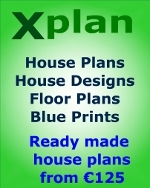 I have just purchased a set of house plans from www.xplan.ie. 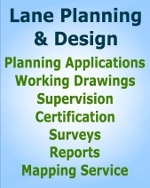 Determine the size of site you will require to suit your family circumstances. Is a smaller garden preferable. Research the Local Planning Authority to ascertain previous and on-going planning applications in the vicinity of the proposed site. Prior to purchasing the site or agreeing to purchase the site, subject to planning permission (which is highly recommended) engage a Solicitor, in private practice and with adequate professional indemnity insurance.